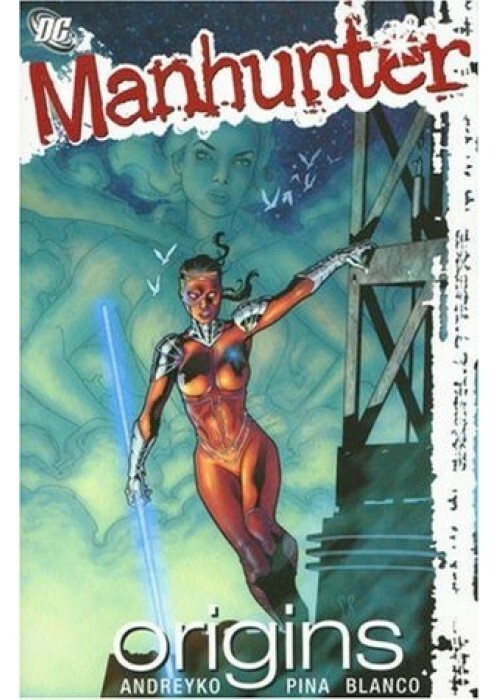 A cult favorite series written by Marc Andreko, MANHUNTER has won acclaim from fans, critics, professionals and competitive publishers. It has a loyal fan base that is rabidly devoted to this new heroine who's made her mark in a world filled with costumed heroes, villains, madmen and monsters. After federal prosecutor Kate Spencer lost a case against a super-villain, setting him free to kill again, she decided to break the laws she's long upheld and become Los Angeles's newest crimefighting vigilante. Now, she uses confiscated metahuman weaponry she raided from an evidence locker to track down perps that have eluded justice in the courts and deliver a long-overdue eye for an eye as Manhunter. This latest volume in the series uncovers the mysterious origins of the armor and weapons that she uses in her war on crime.